You’ve just found your new favorite artist on SoundCloud. But they don’t have the tracks you love on vinyl. 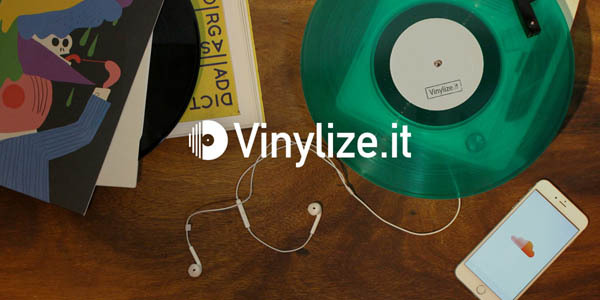 That’s where Vinylize.it comes in. The site interacts with SoundCloud, lets you get on board with other fans of the music, and then lets the artist or label know what you want. It’s basically crowdsourcing vinyl, flipping the production process on its head (though artists have the final call about what goes to pressing). “Lots of artists don’t know what it takes to press vinyl,” Fukuyama states. “We have worked hard to make the process simple. They also don’t know that fans want vinyl from them. Now, we’re working to solve that problem. We dream that artists will respond to these calls for vinyl, and create cool releases that add other tracks to what fans love.” Vinylize.it may bring artists and fans together to inspire each other—and then get that inspiration on wax.